This is the living room. 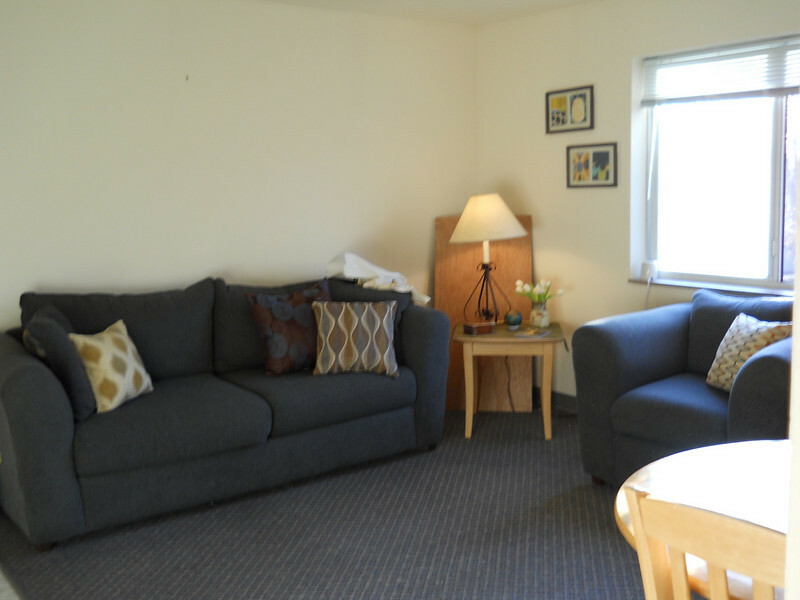 The Cotta Hall apartment comes with a couch, chair, end table, and lamp. Each apartment has its own phone line and cable television hookup (Charter Cable Extended Basic).